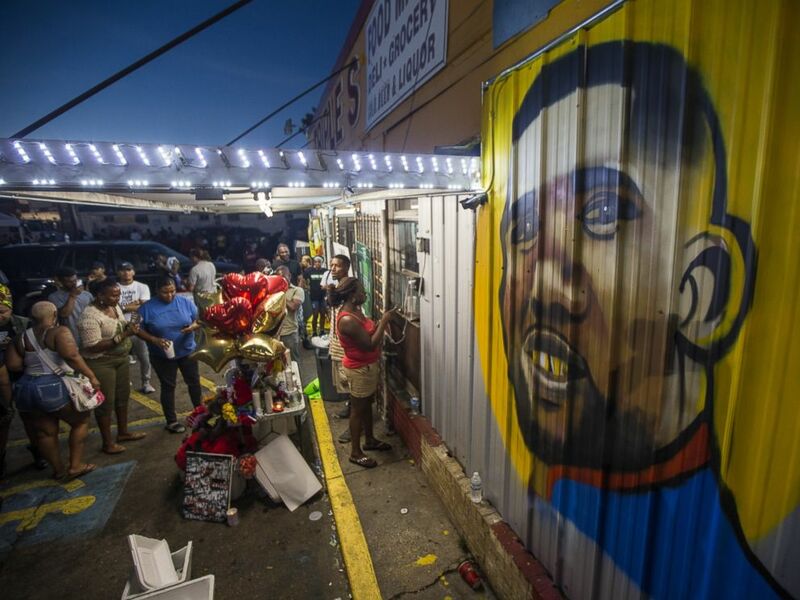 Baton Rouge community leaders are demanding a broad and thorough investigation into all aspects of the Alton Sterling case. Sterling, a black man, was shot and killed during an altercation with two white police officers in Baton Rouge, Louisiana, this week. An investigation into the incident will be led by the U.S. Department of Justice's civil rights division. Leaders of a community coalition, Together Baton Rouge, gathered at the Wesley United Methodist Church this morning, calling on the Department of Justice to expand its investigation beyond civil rights and to consider the possibility of any state or local violations. L. Chris Stewart and Justin Bamberg, attorneys for Quinyetta McMillon, the mother of Alton Sterling's 15-year-old son, Cameron Sterling, said in a statement today, "Thanks to multiple videos that captured the horrific incident, we know far more than we typically would, but many questions still remain. We will demand transparency from the Baton Rouge Police Department and all other agencies involved in this investigation. We will not stop until every question has been answered." The coalition leaders also urged community residents to continue their peaceful protests. Demonstrations have been taking place outside the convenience store where Sterling was shot. 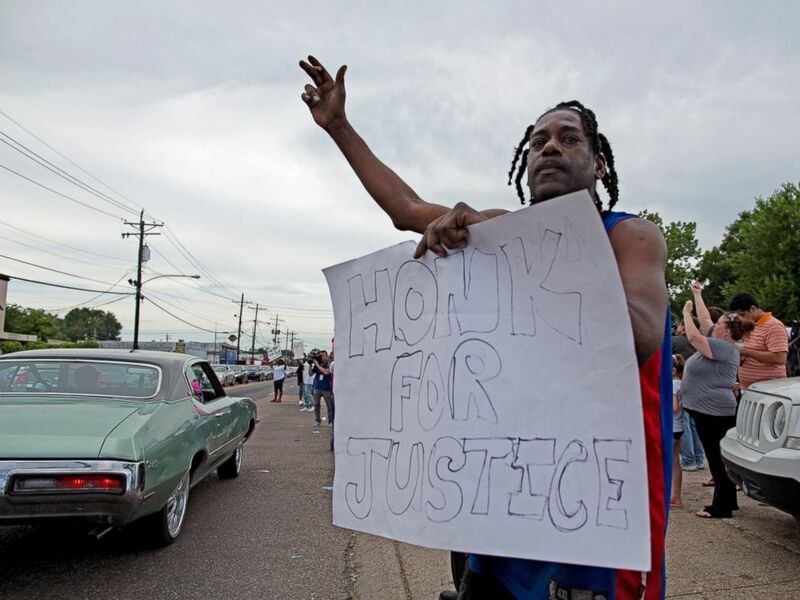 One man held a sign reading, "Honk for justice." Protesters outside the Triple S convenience store hold signs July 6, 2016, supporting justice for Alton Sterling, a black man who was shot and killed there by Baton Rouge Police officers. The protests have spread beyond Baton Rouge. In Philadelphia crowds gathered in the streets to protest Sterling's death. 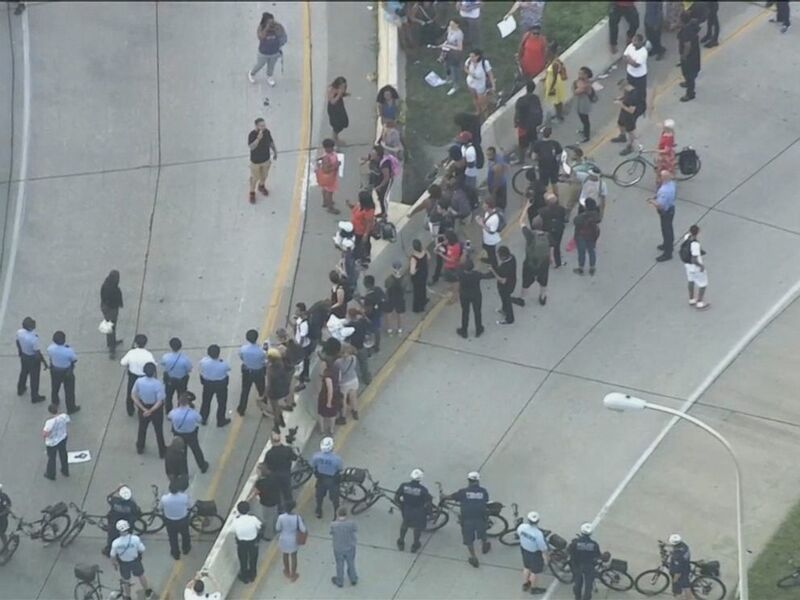 Twelve demonstrators were taken into custody there after they blocked a roadway, according to ABC station WPVI in Philadelphia. The protest in Philadelphia over the death of Alton Sterling took place on July 6, 2016. Baton Rouge police said the incident began early Tuesday morning when uniformed officers responded to a disturbance call from someone who said a black man who was selling CDs was threatening him with a gun. Officers approached Sterling in the parking lot of the convenience store, and "an altercation between Sterling and the officers ensued," police said. Sterling was shot during the altercation and died at the scene, according to police. When graphic video of the shooting was published online, the hashtag #AltonSterling began circulating on Twitter, and crowds gathered in Baton Rouge to protest. #AltonSterling has been tweeted over 3.9 million times. 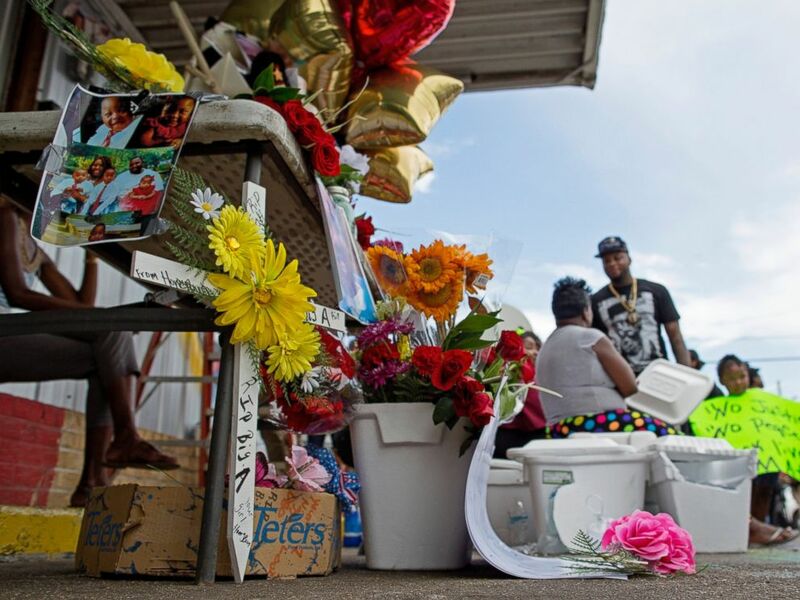 Flowers are part of a memorial in front of the Triple S convenience store where Alton Sterling was shot by Baton Rouge Police officers, July 6, 2016. The two officers involved were placed on leave, police said. According to East Baton Rouge Parish District Attorney Hillar Moore III, the officers, in an interview with case detectives, "indicated that they feared for their life and that deadly force was necessary and justified."